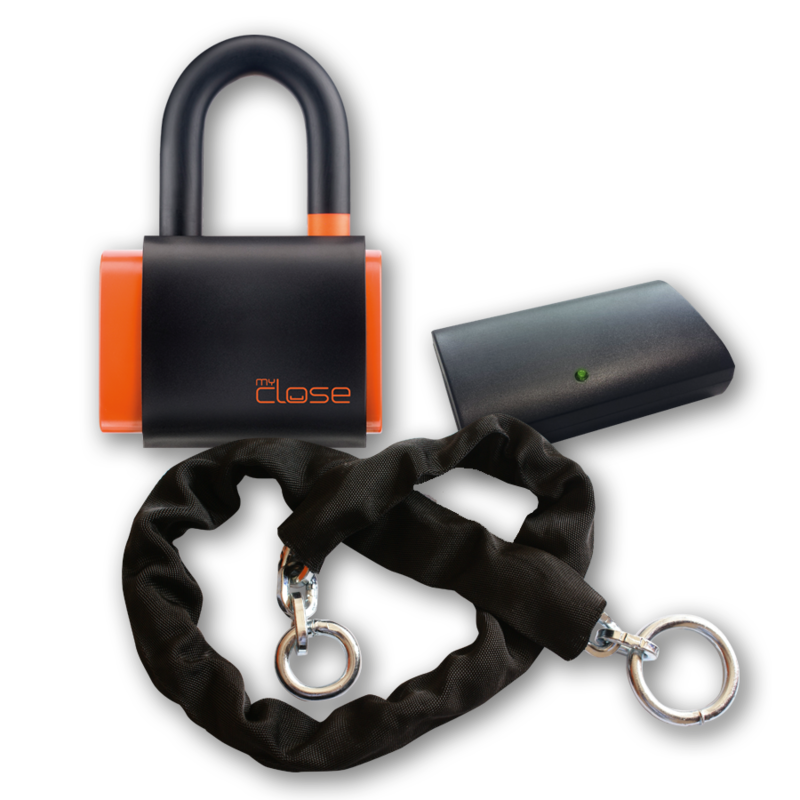 MyClose Mini U chain 8 System is composed by the Mini U lock and the GSM tracker. The Mini U lock and the tracker work in combination with each other through proximity connection. The Mini U lock with 8 mm 90 cm square section double loop ring chain is equipped with short case hardened pvc coated shackle and black sledge transport cover. The tracker unit which works as geo-localizator is equipped with 1400 mAh Lithium battery, Usb B port and preinstalled Sim card with a prepaid SMS plan valid for one year. The system offers real-time phone communication. Alerts are sent with lock movement, lock communication lost, lock and master low battery and master switch off. The sms alert contains a link to open google map position for geo-localization display. MyClose App for remote system control is available for free download for Android and IOS in Play store and in App Store. Mini U lock with 8 mm 90 cm square section chain, USB cable, USB plug, keys, activation codes, battery replacement tool.